In this photo you can see where they’ve pulled up some plants. The wheat here is getting too big for birds to do much damage, too good of a root system to be able to pull up plants. 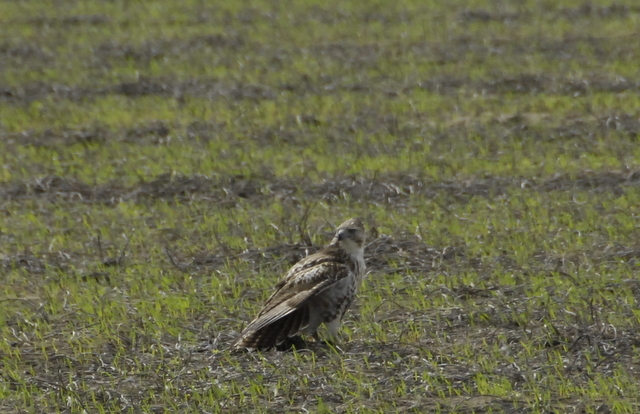 A Juvenile Bald Eagle is giving the farmer some help in scaring off and eating some of the blackbirds that were threatening this wheat field. Here’s a field of wheat that looks good and has escaped much bird damage so far. The grower has been visiting it to scare off birds. It’s about to the stage of not having to worry much about it. This is what we want to see in May, golden grains ready to harvest. Here are some critical management inputs for high yield wheat production given to us by Dr. Dewey Lee, UGA Extension Agronomist. 1). Use deep tillage to disrupt hard pans. Wheat responds well to deep tillage when hard pans are present in our soils, particularly sandy soils. Prepare soils for planting by first tilling with a V-ripper, chisel plow, paraplow or subsoiler. 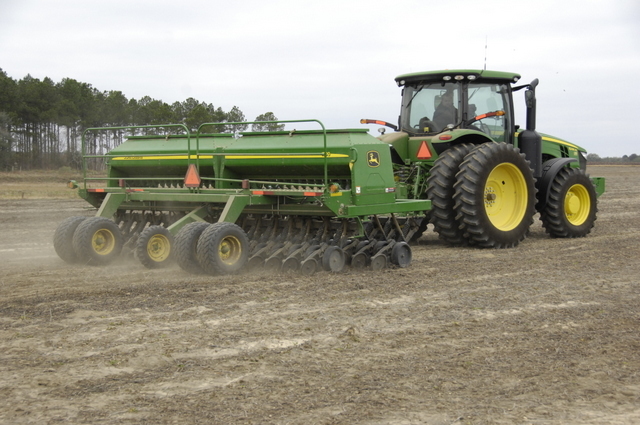 Firm the seed bed with a cultipacker or small, light disk to reduce deep ruts from planting. Till the soil only to a depth that is necessary to break the hard pan. Simple disking is not as effective as deep tillage but it is preferred over no-tilling wheat. No-till wheat can be productive (mostly on heavy, clayey soils) but the yields, in general, are 5 to 25 bushels per acre less than conventionally tilled wheat. 2). Plant high yielding, pest resistant, well adapted varieties. Yield data for all the recommended varieties for Georgia are found in the current 2011 Georgia Wheat Production Guide or Georgia Small Grain Variety Performance Test Bulletin (http://www.swvt.uga.edu). Be sure to note each of the variety characteristics of the variety you choose such as vernalization, maturity, lodging resistance, pest resistance so as to manage each variety properly for highest yield. 3). Plant the appropriate seeding rate for your planting method. Wheat can be successfully established by either drilling or broadcasting the seed and incorporating into the soil to a shallow depth. In general, drilling wheat yields 7 to 8% more yield. If incorporation of broadcast seed is poor, then yield differences are even greater. Studies have shown that best yields are obtained with 1.2 million to 1.5 million seeds per acre. This is equivalent to 30-35 seeds per square foot. With a drill, seed wheat at 18 to 25 seeds per row foot (7.5 inch drill width). This rate is equivalent to 30-40 seeds per square foot. Use 10 to 15% more seed when planting after the recommended planting window. 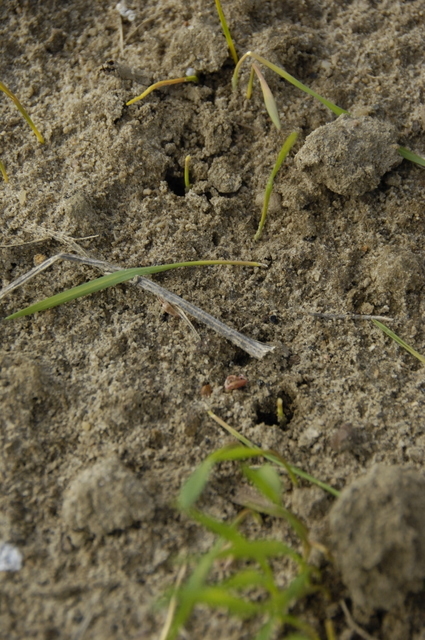 Wheat emerges best when planted 1 to 1.5 inches deep. When broadcasting the seed, calibrate the equipment to plant 40 seeds per square foot. When possible, always use high quality, certified seed and save a tag of each separate lot for good record keeping. 4). Plant during your recommended planting period. The recommended planting dates forGeorgiaare the seven days prior to and after the five year average first frost day for your farm. Varieties with long vernalization requirements should be planted in the first seven to ten days prior to the first frost day. Extremely early varieties with short vernalization requirements such as Fleming must be planted in the very last days of the recommended window. These varieties will suffer winter injury if planted too early as they would enter the jointing phase (Zadoks GS 32) prior to the time that sub-freezing temperatures generally do not occur. 5). Scout fields for early insect infestations and control potentially damaging insects. Hessian fly and aphids are the two insects generally causing yield loss in the fall. Control insects by either planting resistant varieties and or using an approved insecticide. Protect wheat from Hessian fly by planting resistant varieties or treating seed either with Cruiser® (thiamethoxam) or imidacloprid. See the current Pest Control hand book for proper rates. These seed treatments are also effective against aphids. Aphids vector the Barley yellow dwarf virus and it is important to protect wheat from this virus. For both insects, scout wheat fields 25 to 35 days after emergence for the presence of either aphids or Hessian fly. Apply an approved pyrethroid insecticide if either is present and no seed treatment has been used. Again, scout just prior to topdressing. If aphids are present, then combine insecticides with the nitrogen fertilizer to prevent spring infestations. Thresholds and rates are listed in the Pest Control handbook and Wheat Production Guide. 6). Control weeds early to prevent yield loss. Control ryegrass, wild radish, wild turnips, onions, garlic, henbit, chickweed, and vetch early for maximum weed control efficiency and high yield. Waiting to control these weeds till the spring causes considerable yield loss due to lost tillers and reduced herbicide effectiveness. Scout wheat 25 to 35 days after emergence. Note any weed infestations. Control broadleaf weeds when weeds are small (i.e. 2 to 4 inch wild radish, mustard). 7). Soil test and apply all nutrients according to recommendations for high yield. Wheat should be planted in soils that have a pH of 6.0 to 6.5. If fertilizing for the wheat crop only, apply all phosphorus and potassium in the fall during seed bed preparation according to soil test recommendations. If applying nutrients for the subsequent crop as well, apply ½ of the potash in the fall and the remainder during the spring at topdressing. Nitrogen should be used in the fall to encourage tiller production prior to the onset of winter. Tillers produced in the fall generally produce the most grain per unit area. It is important though, not to over-fertilize with nitrogen as it may cause excessive growth and result in winter injury. NOTE: If using poultry litter, obtain a nutrient analysis so as to adjust the rate of application according to the nutrient content. In general, 2 tons per acre is sufficient for fall growth. Applying more may increase risk to excessive growth and winter injury. 8). Topdress wheat with nitrogen in a timely manner in late winter and early spring. During the later days of January, begin counting tillers to determine the need for additional nitrogen applications for the proper tiller production. If tillers counts (a stem with at least three leaves) exceed 80 or more per square foot at Zadoks GS 25, then apply all remaining nitrogen at GS 30 (stem elongation). Usually this occurs during early to mid-February in the southern half of Georgia. In extreme N. Ga, stem elongation may not occur till early March. If the tiller count is less than 80 per square foot, then apply 30 to 40 lbs of N per acre to encourage tiller production prior to the onset of stem elongation. Complete the topdressing prior to 1st node stage. Nitrogen rates will vary according to the soil type, variety lodging resistance, irrigation capability, previous crop, etc. In general, total N rates range from 100 lbs N per acre to 120 lbs N. Tank mix an approved pyrethroid if aphids are present to reduce the risk to the barley yellow dwarf virus. Supply 15 to 20 lbs of S per acre if soils are sandy. The figure below is a guide used by growers inNorth CarolinaandVirginiato determine the need for nitrogen at GS 30 (or Feekes 5). 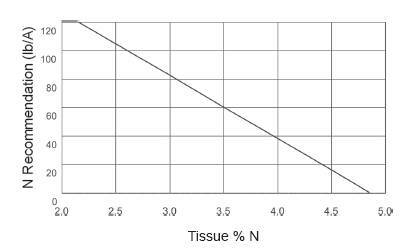 A tissue analysis is needed for final N application determination. It is assumed that the average tiller count will be above 100 per square foot. 9). Scout fields for the onset of diseases. Powdery mildew, stripe rust, leaf rust and leaf and glume blotch are diseases that can be control with an approved fungicide application. Begin scouting fields when the plant reaches GS 32-37 (Feekes GS 7-8). In general, powdery mildew and stripe rust will likely appear first. If no disease is present by GS 58 (Feekes 10.5) but expected, then apply the proper rate of fungicide to maintain the high yield potential and test weight. See the current Pest Control Handbook or Wheat Production Guide for rate and timing information. 10). Harvest as early as possible. 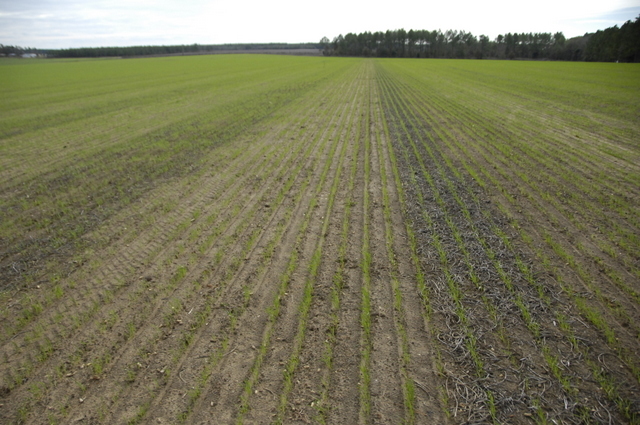 Soft red winter wheat easily sprouts when the grain is exposed to rainy conditions after maturity. Harvest the crop as soon as possible to avoid field losses and to maintain good quality grain. Dry the grain if harvesting above 15% moisture. 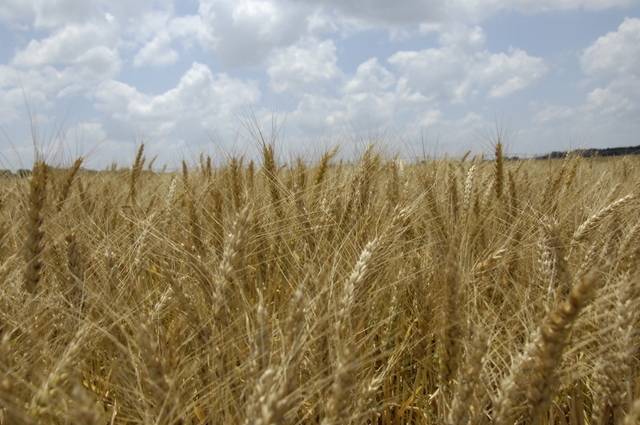 Usually wheat can be easily harvested between 16-18% moisture. Agriculture is the food you eat, clothes you wear and the fuel that runs your life. From the local Georgia farm to the globally stocked supermarket, access to safe and affordable products is important. Learn what’s ahead for this vital industry at the 2012 Ag Forecast series to be held 10 a.m. to noon Jan. 23 in Macon, Jan. 24 in Tifton, Jan. 25 in Statesboro, Jan. 26 in Gainesville and Jan. 27 in Carrollton. Producers, policymakers, agribusiness professionals and consumers will hear the 2012 economic outlook for agriculture from University of Georgia College of Agricultural and Environmental Sciences economists. Regional speakers will discuss farm labor issues. Participants will receive a copy of the 2012 Ag Forecast book, which gives a detailed analysis of each major agricultural product – from broilers to blueberries – produced in Georgia. The UGA CAES, Georgia Farm Bureau and the Georgia Department of Agriculture annually present the series. Registration is $30 per person or $200 for a table of eight. For more information and to register, visit www.georgiaagforecast.com. Registration deadline is Jan. 19. Last week’s question was asking what tree was in the photo and it was olives. We recently looked at some 3 year old Olive trees near Lakeland Georgia. The trees looked good and hopefully growing them will become a good alternative for Georgia growers. There are still a lot of things to learn about growing them here including yield and marketing and even processing of the olives so I would be cautious. 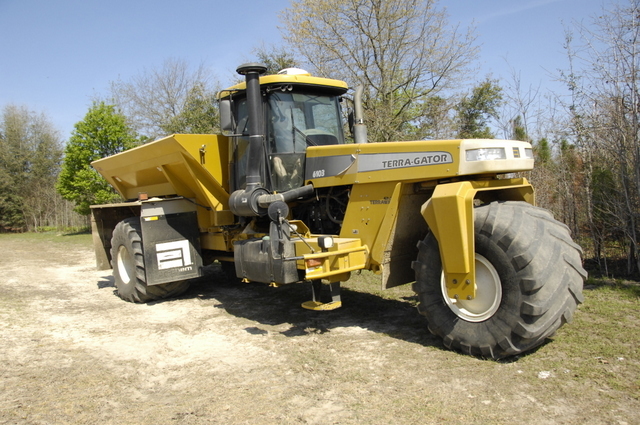 Here below is an article by the Georgia Department of Agriculture concerning this enterprise. For the first time since the 1800s, there has been an olive harvest on the U.S. East Coast, and it was near the southeastern Georgia city of Lakeland. Olive oil, according to research provided to Georgia Olive Farms (GOF), which planted its first 16 acres in April 2009, was shipped in barrels from the Georgia coast back in the 19th Century. “I don’t know what happened, if it was hurricanes or the Civil War, but everyone is telling us that this is the first commercial harvest on the East Coast,” said Jason Shaw, one of GOF’s founders. Shaw first dreamed about planting olive orchards in the Deep South when he was studying abroad in Verona, Italy, in 1996. He noticed that Italy and southern Georgia have similar weather patters (hot and humid) for growing olives. Jason, his brother, Sam, and cousin, Kevin, joined forces in 2009 to plant a super high-density olive orchard (over 600 trees per acre) suitable for mechanical harvesting. With Berrien Sutton of Homerville, Ga., they formed GOF as a cooperative association to develop the olive industry in Georgia and surrounding states. 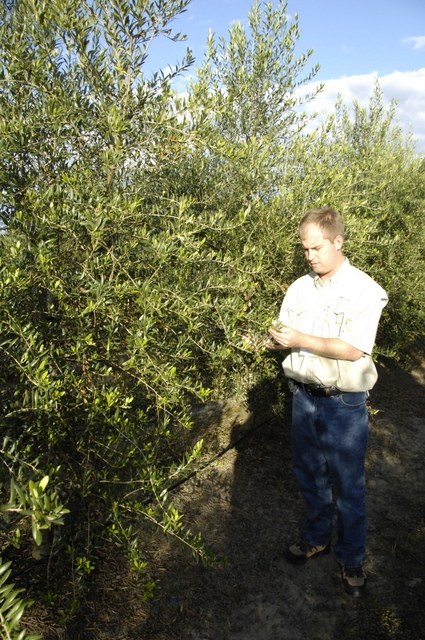 The goal of Georgia Olive Farms is to produce high-quality extra-virgin olive oil in the South, thereby giving farmers here a viable fall cash crop. The feasibility of table olive production also is being studied. “Our main focus is on production of the extra-virgin olive oil,” Shaw said. The orchards consist of 96 percent Abrequina variety olive trees, along with two others: Arbosana and Koroneiki. Shaw said the Abrequina works better for them than traditional ones because of its cold-hardiness. “A lot of what we’ve done up to this point is experimental,” said Shaw. “We’ve tried different pruning techniques, but it’s still farming, and we have to see what works best for us in our area.” And, that includes how the South Georgia weather affects the olives. A test orchard with traditional varieties was planted in conjunction with the University of Georgia Cooperative Extension Service, and a small three-acre organic orchard was developed in 2010. GOF growers who have been experimenting with various fertilization and irrigation techniques said they will share information gathered with those wanting to raise olives, and contracts are available. A distributor for olive trees on the East Coast, GOF is in business to furnish large quantities of trees to major orchards or ornamental trees to individuals. While most people may assume that growing olives in South Georgia is a new idea, olives in that area are, in reality, a tradition older than the U.S. In archeological excavations of 16th Century Franciscan settlements in Florida up through Georgia, olive pits have been found. And, in the early 18th Century, British settlers arriving at St. Simon’s Island found olive trees growing alongside orange groves. These olives were most likely brought on board ships to the New World by Spanish explorers as early as 1526. The Georgia Department of Agriculture has written, and helped the growers obtain, a Georgia Specialty Crop Grant from the Agricultural Marketing Service of the U.S. Department of Agriculture. The $100,000 three-year grant began in 2009 and carries through this year to promote competitiveness of specialty crops. “The grants have been critical because we’ve been able to bring in experts to meet with us and share their expertise,” Shaw said. As with all fruit, flavor can differ significantly depending upon which point in the season harvest occurs. The harvest season for olives runs from Labor Day through November. Olives collected during early harvesting yield oil characterized by a crisper flavor with a very clear color. As the season moves along, the oil extracted has a mellower, buttery flavor, and color becomes more rich and golden. “We like to let the olives ripen, so we have a milder, buttery flavor,” Shaw said. Whether the fruit is harvested by machine or hand, time is critical because olives need processing within 24 hours. Otherwise, the fruit begins to ferment, affecting the flavor in a negative way. To harvest its crop, GPF uses blueberry equipment modified for olives. After harvesting, olives are refrigerated immediately and taken to a local cold-storage facility, where they are cooled to a recommended temperature of 41 degrees F.
The olives are trucked to Texas for milling and processing into oil, and transported back to Georgia for labeling and bottling. Shaw said they should produce about 500 acres of olives within five years, yielding 1,800 tons annually. And, he would like to have 20,000 acres in the next 10 years. His goal: to satisfy the local market’s demand for olive oil, along with that of the entire East Coast. Beth Meeks, an area marketing coordinator for the Department, began working with the GOF growers when they planted their first tree in 2009. “There is a lot of interest in olives from local farmers…they are sitting back and seeing how it goes,” she said, adding that the soil in Southeast Georgia is “pretty good” for olive growing. “The Shaws have done really well,” Meeks said. “We’ve worked to get them to different food shows, where they’ve met several high-end chefs interested in their olive oil,” she said. Events included shows for Georgia Grown products and the Georgia Fruit and Vegetable Conference. The process of extracting oil from olives has been a constant one since the beginning of recorded history. Through the centuries, only the equipment has undergone significant changes, as fruit is harvested, crushed, and the remaining solids are removed from the liquid produced. For more information on Georgia Olive Farms, call 229-561-0960 or access their web page link, www.georgiaolivefarms.com. Now for this week’s Question: Can you tell me what is happening in this field? The large bean in question last week was a Sword Bean, Canavalia gladiata. A very large bean closely related to a Jack Bean, (as in Jack and the Beanstalk). They can be eaten but it’s reported that they may be slightly toxic if eaten in large quantities. They’re grown for fun mostly. 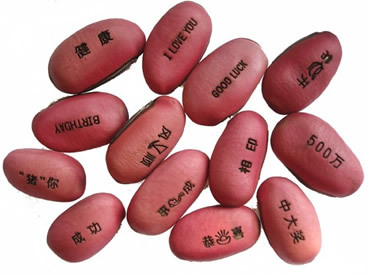 I see them for sale on the internet with messages printed on them they are so large. This week I’m asking about these trees we saw near Lakeland Georgia on a tour last week. What is new Thomas county agent , Andrew Sawyer, looking at here? Governor Nathan Deal and Commissioner of Agriculture Gary Black issues call for nominations for the Seventh Annual Environmental Stewardship Award. The Governor’s Agricultural Environmental Stewardship Award is an annual award designed to recognize agricultural producers in five districts of the State that are exceptional environmental stewards. This award recognizes producers that have incorporated conservation practices and best management practices into the day-to-day activities of their farming operations that protect and conserve the natural resources of the state. A five-member selection committee comprised of representatives from each region will select a winner from each of the five regions. A Statewide winner will be selected following a tour of each of the operations selected as regional/district winners. At the Ninth Annual Agriculture Week Kick-Off Festivities that will be held on Tuesday, March 13, 2012, Governor Nathan Deal and Department of Agriculture Commissioner Gary Black will recognize all district winners and announce the State winner. and are due by December 16, 2011. I’ve been asked today about fertilizing ahead of wheat planting. Your preplant fertilizer will depend a lot on what was just harvested from the field where you will be planting wheat for grain. Here are the amounts of Nitrogen you will need based on crops just harvested. Tillers produced in the fall generally produce the most grain per unit area. It is important though, not to over-fertilize with nitrogen in the fall as it may cause excessive growth and result in winter injury. Your total Nitrogen will be between 100 and 130 pounds per acre but we will need most of it in Jan and February as one or two sidedressings, depending on tillering. Timing of N fertilization should be based on the pattern of uptake by the crop. Demand for N is relatively low in the fall but increases rapidly in the spring just prior to stem elongation. Therefore, make the fall applications of nitrogen at planting, and the remaining N prior to stem elongation (Zadoks 30). Use the lower rate of fall applied nitrogen at planting on heavier-textured soils and the higher rate on sandy soils. Other nutrients should be applied according to a soil test preplant. Since 65% of the total P uptake and 90% of the total K uptake occurs before the boot stage, these nutrients should be applied according to soil test before planting and thoroughly incorporated into the rooting zone. Some of this information is taken from the 2011-2012 Georgia Wheat Production Guide and the complete guide can be accessed at this link. Members of the Sorghum family are often used for forage in Georgia. These warm season grasses are of African origin. These grasses may contain toxic levels of nitrates and prussic acid under stress conditions (drought, frost/freeze, etc.). As such, they are not preferred choices for grazing or hay production (unless irrigated). Sorghums are generally more difficult to cure for hay than pearl millet or other summer annual forage crops. Therefore, they are best adapted to use as a silage crop. The ensiling process results in the dissipation or breakdown of prussic acid and high nitrate levels after 2 – 3 weeks, reducing the toxicity problem for livestock. In addition to the potential for prussic acid toxicity, some have reported the presence of an unidentified toxin in sorghum, particularly in sorghum x sudangrass hybrids. This toxin or factor appears to cause spinal cord degeneration and, in extreme cases, paralysis in horses (sorghum cystitis ataxia syndrome). The potential for this problem and the lack of an effective treatment or cure for this syndrome has led to a general recommendation that horses should NOT be fed forage from the sorghum family. Prussic acid or hydrocyanide is formed in certain plant species during water stress or frost conditions. Under normal growing conditions, these plants produce a nontoxic substance called dhurrin. When plants are injured by frost or wilting, enzymes come into contact with dhurrin and liberate toxic prussic acid. 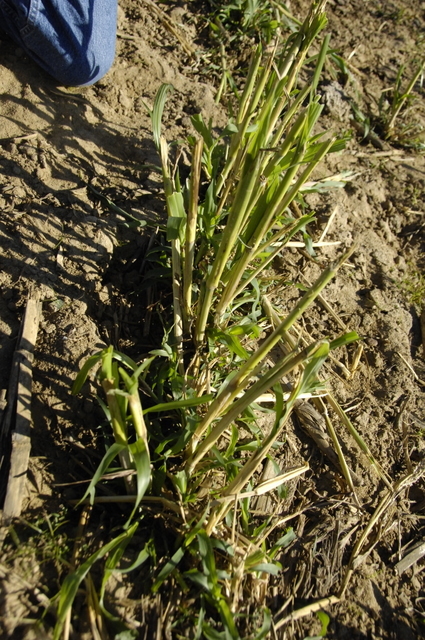 Concentrations of prussic acid can also be high in young, rapidly growing tillers. Here’s some Grazing Sorghum on friday before the frost on saturday morning. The cattleman took the cows off and will keep them out for several days to make sure prussic acid isn’t a problem for them..
Plants in the sorghum family are susceptible to prussic acid formation and include johnsongrass, sudangrass, sorghum and sorghum-sudan hybrids. Wilted wild cherry leaves can also contain lethal amounts of prussic acid. Unlike sorghums, pearl millet does not produce prussic acid (but does accumulate nitrates) and can be safely grazed following a frost. Prussic acid is most concentrated in young leafy tissue which is also the plant part preferentially selected by grazing animals. Therefore, unlike nitrate toxicity, grazing pastures lightly to reduce toxin intake is unlikely to succeed. Prussic acid is lethal to animals because it interferes with the animal cell’s ability to generate energy. This ultimately results in death. Simply put, cyanide prevents oxygen transfer from the blood and animals suffocate at the cellular level. Because blood from prussic acid poisoned animals does not release oxygen, venous blood is normally a bright cherry red color when a postmortem examination is performed. This is a good indicator that prussic acid poisoning has occurred. Prussic acid poisoning occurs rapidly. The time from ingestion of toxic forages to death is usually short with animal losses sometimes occurring within 10 to 15 minutes of grazing affected pastures. Typical animal symptoms include excessive salivation, rapid breathing, and muscle spasms. Because the tissues cannot receive oxygen, mucous membranes often have a purplish color. Animals are occasionally observed staggering through the pasture before collapse and death. Successful treatment is almost mpossible because of the rapid progression of symptoms. Animals must be removed from toxic pastures immediately. Preventative management is the only reliable method to avoid animal losses. There are indications that adequate soil phosphorus can decrease the potential for prussic acid formation. Conversely, heavy nitrogen fertilization may increase hydrocyanic acidcontent. It is important to soil test fields and follow fertility management recommendations to ensure appropriate nutrients are present for plant growth. Excessive nitrogen applications should be avoided to decrease the probability of toxic nitrate and prussic acid levels. Do not allow cattle access to susceptible plant species immediately following a drought ending rain. Rapidly growing young plant tissue can contain toxic levels of prussic acid for 7-10 days. Frost damaged plants also can contain high levels of prussic acid. Grazing in frosted fields should also be avoided for at least a week. Use extreme caution when grazing frosted fields as stands are often not completely killed. New tillers or surviving tillers following a frost can be highly toxic and should also be avoided for 1-2 weeks. Cured hay harvested from frost or drought stressed pastures will not contain toxic amounts of prussic acid as the concentration will deteriorate by the time of baling. Silage should also be safe for feeding after the ensiling process is complete (approximately 3 weeks). Remember, nitrate toxicity is different than prussic acid poisoning. Unlike prussic acid, toxic levels of nitrate will remain in hay and do not diminish over time. Testing for nitrates is critical to ensure safe hay feeding, especially following the dry weather of this year. Remove wild cherry trees from pastures or minimize animal exposure to them by fencing off wooded areas. Examine areas containing cherry trees immediately following storms; particularly when forage is in short supply as animals will be more likely to consume the leaves. Imformation taken fron www.georgiaforages.com website. The National Peanut Festival is going on this week in Dothan, Alabama. Lots of interesting things to see and do there. 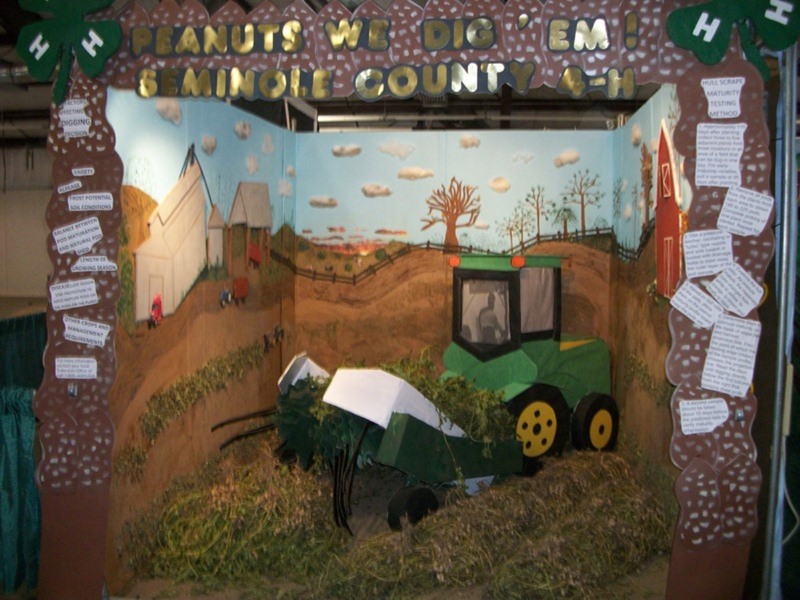 The exhibits are very good and we are happy that the Seminole County 4H Fair Booth entry earned 1st place. Our County Extension Secretary, Judy Barber, heads up this event and does a great job every year on Fair Booths in Dothan and Albany as well as some of her work has been displayed at the Agrirama and the Rural Development Center in Tifton, Georgia.